Submitted 1 year 4 months ago by Tatas Hardo Panintingjati Brotosudarmo. 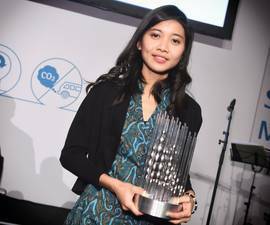 MCAA Southeast Asia congratulates Dr. Arlavinda Rezqita for the Austrian Staatspreis Mobilitaet 2017 prize Zukunfspreis! Great achievement and we are all proud of it!